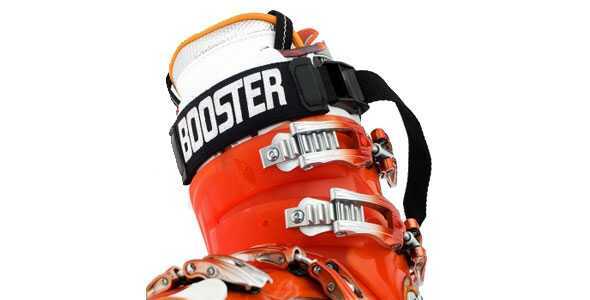 The Booster Strap is an essential accessory for any serious skier or racer looking to improve boot response and comfort. The Booster Strap acts as a shock absorber between the boot tongue and your shin, aiding against ‘boot or shin bang’. 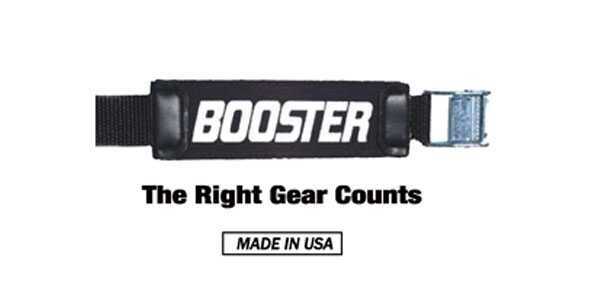 The Booster Strap replaces your stock velcro power band that wraps around the top of the boot cuff. Booster Straps are made of a high-strength elastomer webbing (elastic) combined with an anti-slip adjustable cam buckle to ensure proper fit and improved comfort. Intermediate – 2 elastic bands, ideal for good skiers and light/non-aggressive racers. Expert/Racer – 2 elastic bands, ideal for very good skiers and racers. World Cup – 2 reinforced elastic bands. Engineered for the needs of WorldCup skiers. A relatively inexpensive method to provide relief for your shins while providing additional flexibility in your boot. Reduces ‘boot or shin bang’ and virtually eliminates loosening of the upper cuff. 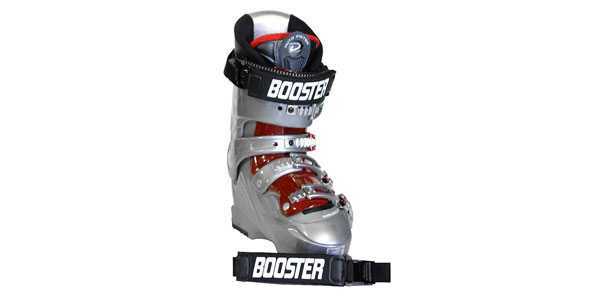 Depending on the model of boot – modification might be required for proper installation of the Booster Strap. Some boots have the power strap riveted, meaning these rivets will have to be drilled out in order to accept the new Booster Strap. Though we think this modification is worth it… some may not.